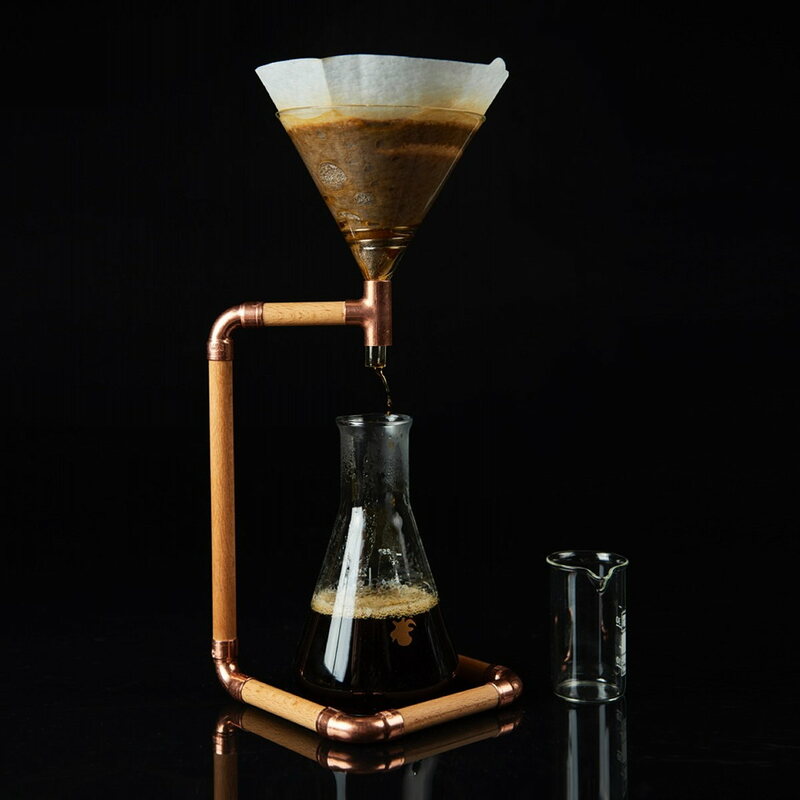 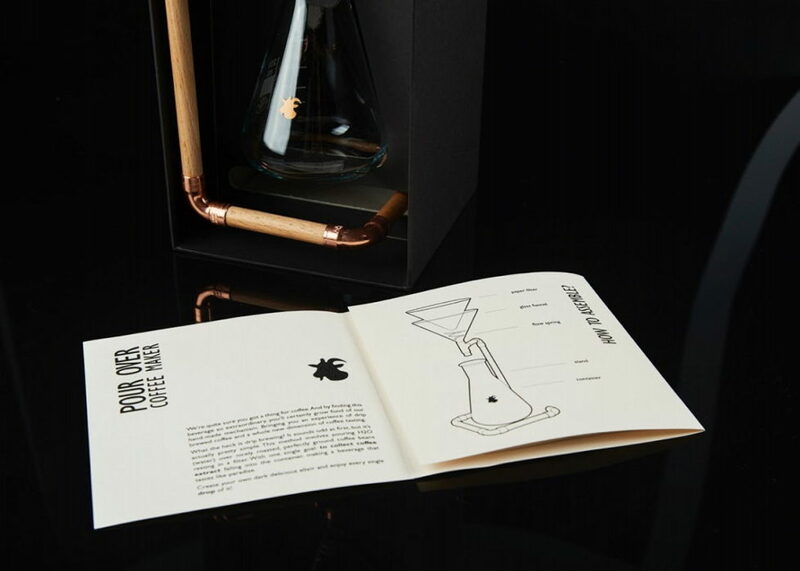 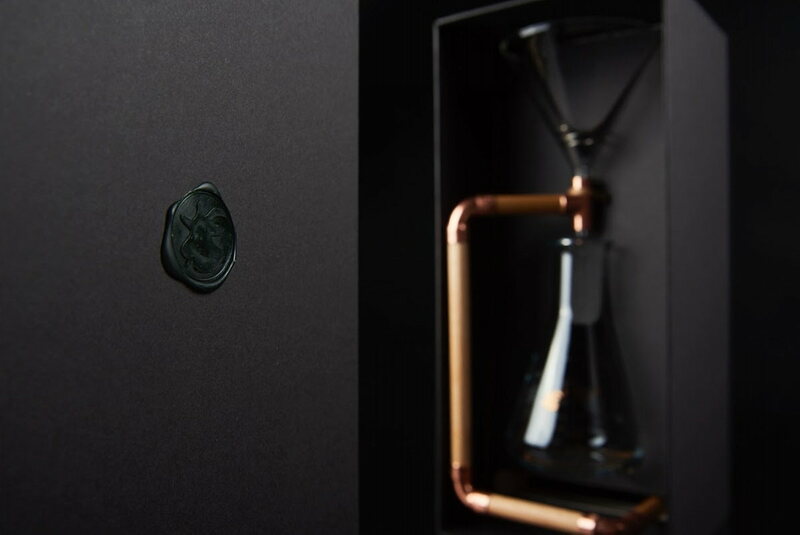 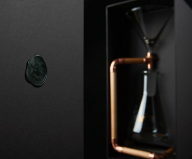 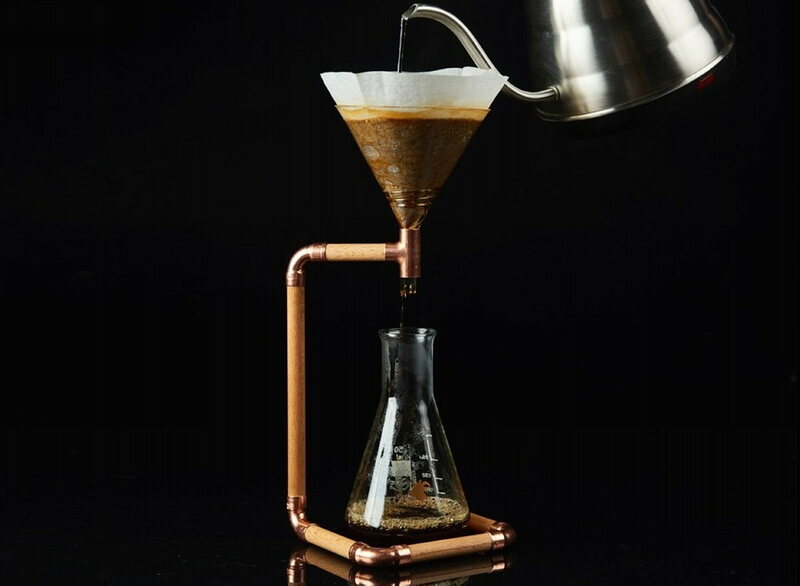 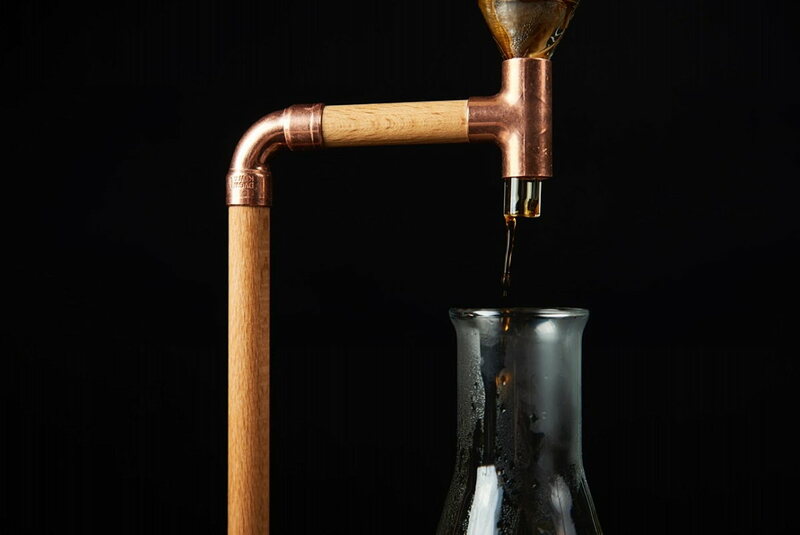 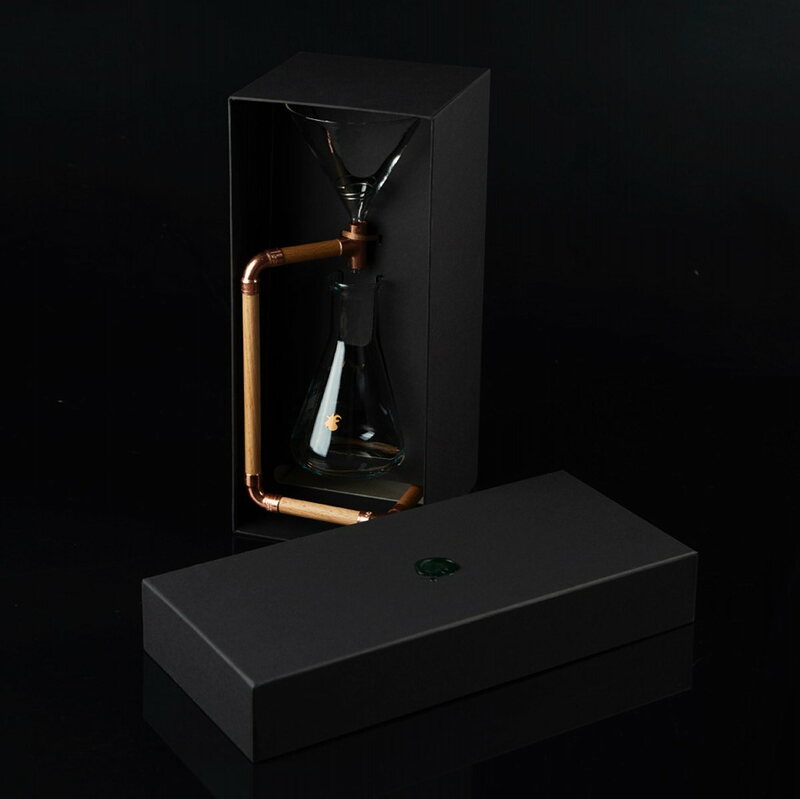 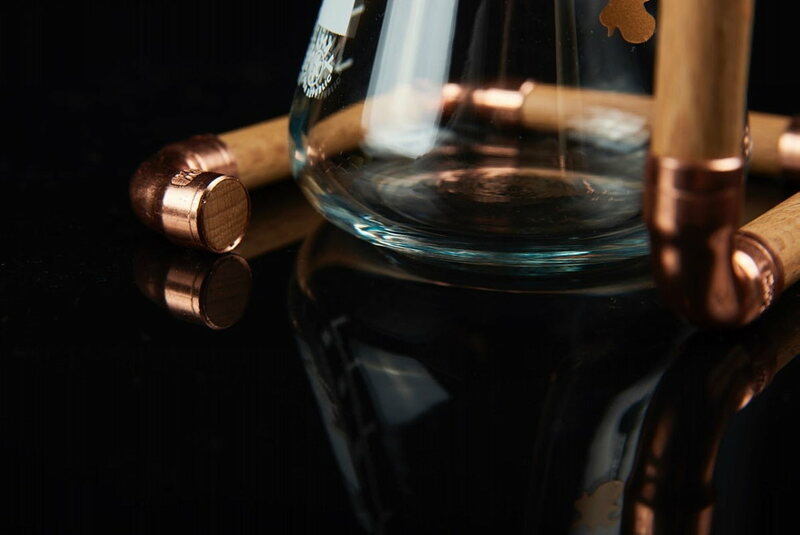 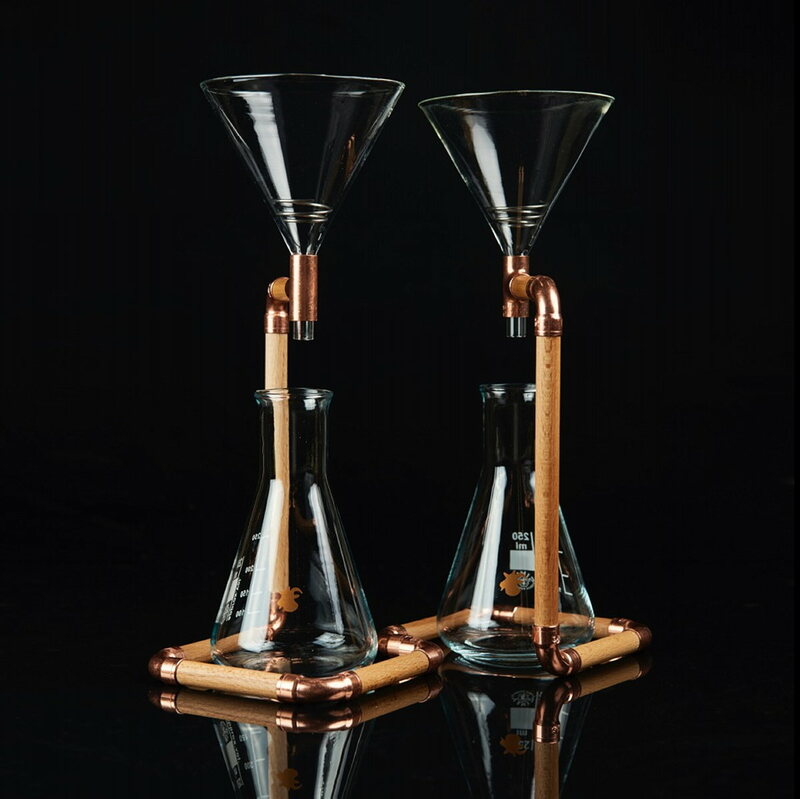 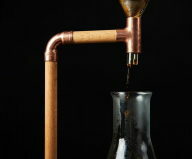 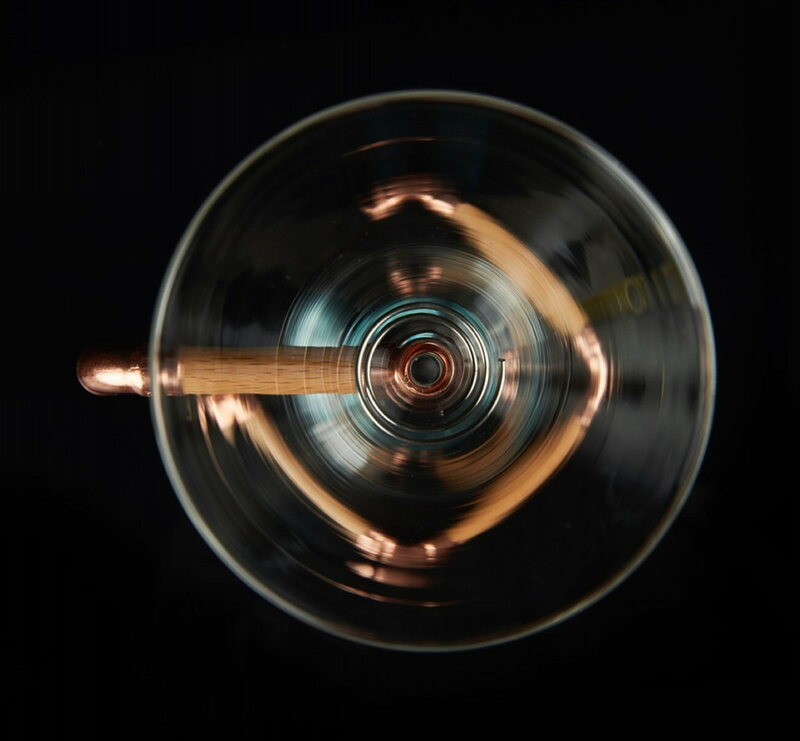 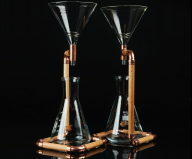 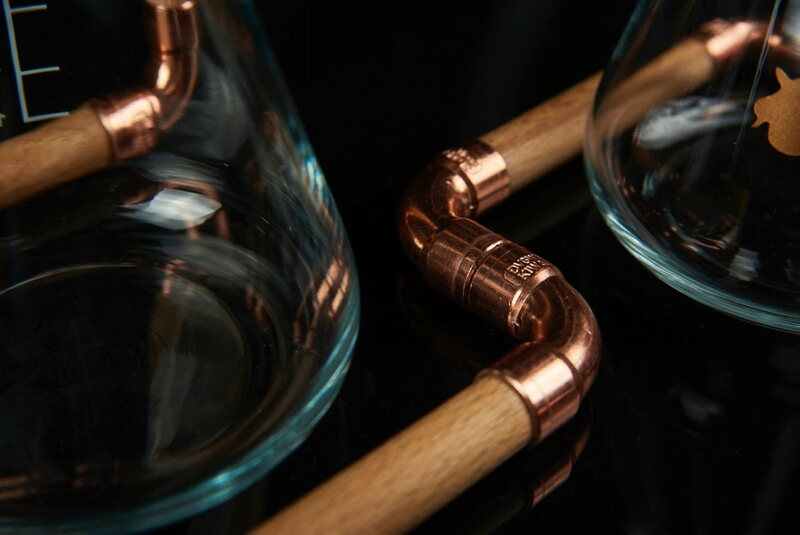 Designers from the Goat Story innovative company have invented the concept and design of a rather unusual drip coffee maker, which makes you feel like a coffee chemist. This original device was called «G-Drip» and is made in the form of an upright with a flask and feeder and looks like a laboratory unit. 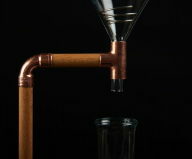 Yet this construction is rather stylish. 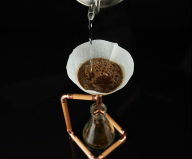 A simple paper filter, inserted into the feeder, is used for the coffee making. 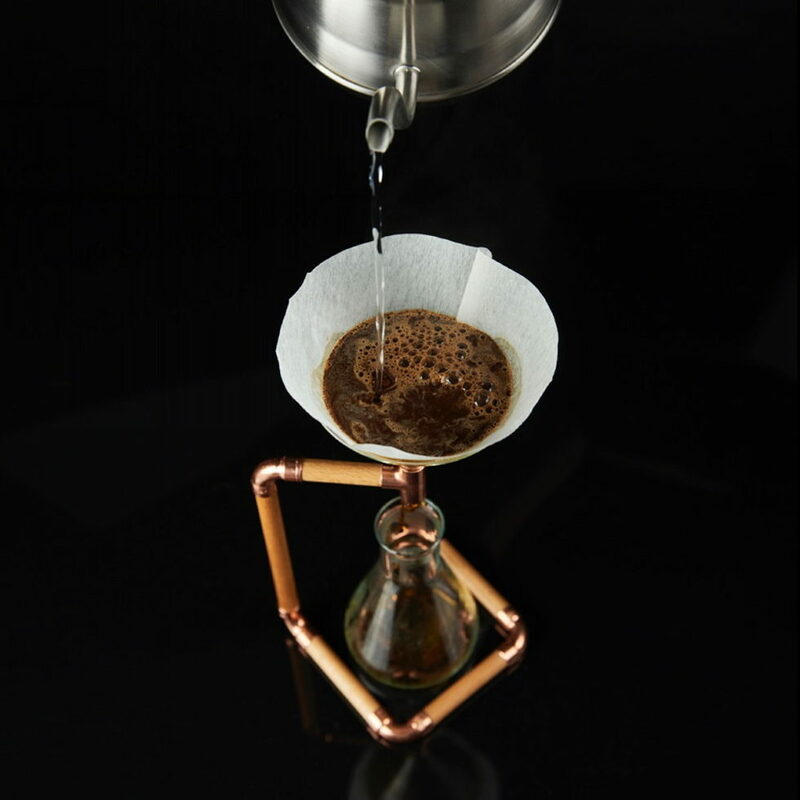 After the filter is put inside the glass feeder it is necessary to spoon ground coffee into it and pour in boiling water. 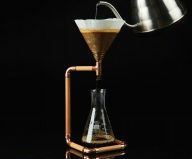 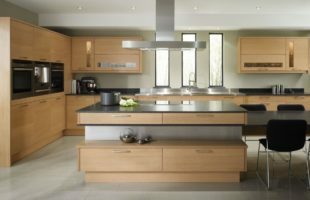 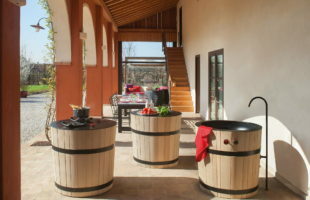 As a result, the aromatic drink is mashed, filtered and goes into the flask. 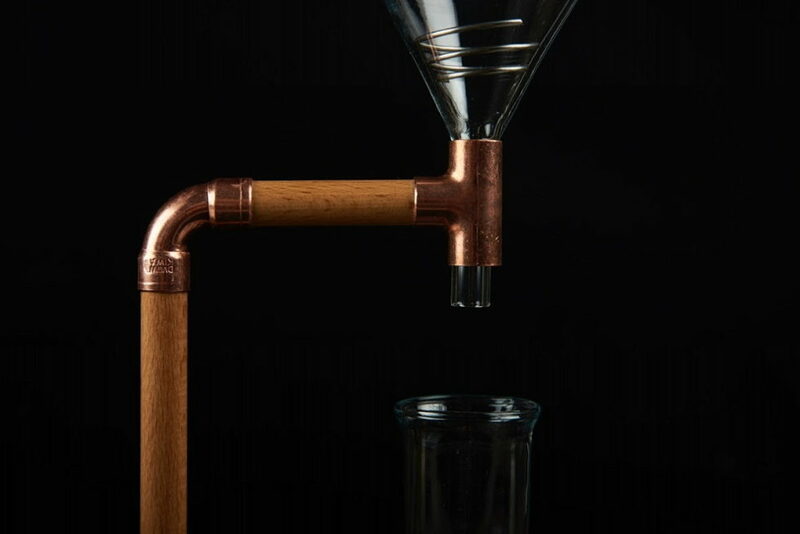 The process seems simple, yet looks fascinating. 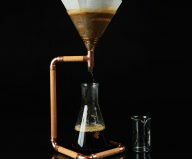 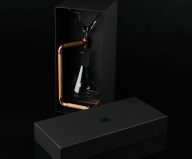 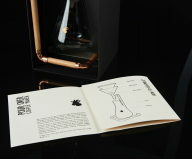 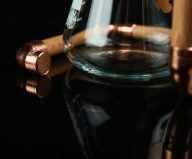 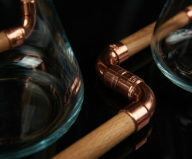 «G-Drip» drip coffee maker is truly one of the most stylish attributes of a genuine coffee-addicted person.